Airlines-Manager.com • Afficher le sujet - #PlayrionLive’s announcements in a nutshell! 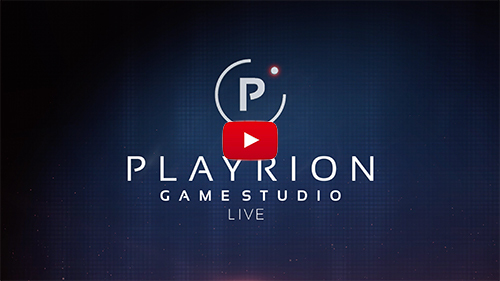 Yesterday, we presented our PlayrionLive: Always further. A brand new staff management in collaboration with the International Air Transport Association (IATA). You can manage all your employees by hiring and training them! You can discover this feature from December 20, 2017 with the release of the version 2.5 on iOS, Android and on the Web version. During this PlayrionLive, we also detailed the transition we have implemented to maintain the game as balanced as possible. A new mobile version will come in early 2018 and will bring especially the AM+ features of the Web on Mobile, but also an incredible new tool to manage your schedules (which will be very useful for players developing a strategy over 168 hours). Liveries will be added to the mobile application! Whether it is via the shop or during an aircraft purchase, you will be able to customize your fleet without logging in to the Web version! 4 / Designing your own liveries with Airlines Painter! Our best news is Airlines Painter, a tool that will enable you to create your own liveries! Now you can create your own liveries and use them easily on Airlines Manager. Yes, you read it correctly, you can import your own logos. Airlines Painter will be available on iOS, Android and the Web version in the first quarter of 2018! Of course we will continue to release regular updates of Airlines Manager. But our biggest project will be focused on multiplayer gaming by developing Alliances on the mobile application. If you couldn’t watch the live with us to discover the new features in detail, you can watch the #PlayrionLive’s replay. Finally, to thank you for your loyalty, we offer a gift code containing $100,000,000! To obtain the money, copy the code in Account Management or enter it in the HELP section of the application!